How Do Amino Acids Help You Sleep Better? Which Amino Acids Help You Sleep Better? Because they are essential to maintain and regulate our bodies and general well-being, amino acids have long been studied through the lens of many different sciences—from food technology to medicine. Amino acids are organic compounds that aid in the body’s metabolism. They are made up of primarily carbon, hydrogen, oxygen, and nitrogen. Amino acids are also known as building blocks of protein, which in turn are a major component of almost all of our biological functions and processes. These compounds are present in hormone production, nutrient transport, tissue repair, and more. It’s been found that the ideal balance and supply of amino acids in the body can be negatively impacted by things that prevent us from making efficient use of what we eat. Watch out for the effects of pollution, malnutrition, or generally unhealthy habits such as smoking cigarettes and drinking alcohol. We already know this, and are familiar with the most noticeable symptom of amino acid deficiency: fatigue. In this article we’re going to look at some of the most common amino acids linked to sleep health: GABA, Glutamine, Glycine, L-Theanine, and Tryptophan. Many sleep aids include one or more amino acids in their formulations. Why? How we sleep is also affected by amino acids. Surprised? You shouldn’t be. If a lack of the certain amino acids can cause fatigue, it makes sense for a proper amount of amino acids to do the opposite. Also the subject of much research, we see the fruits of academic studies over the years in the ingredients of natural sleep aids and supplements available today. If you’ve been having sleep problems for some time and have looked into both prescription drugs and natural supplements as possible remedies, you may already be familiar with GABA. This organic compound functions as a major inhibitory neurotransmitter of the body’s central nervous system; as such, ideal levels of GABA promote brain health and dampen nerve activity. This works to reduce anxiety, improve sleep, and increase feelings of relaxation and calmness. As far as amino acids go in the realm of sleep health, GABA is probably the most studied. It is known to greatly shorten sleep latency—meaning you go to sleep faster—and also to encourage non-REM, deep sleep. Many anti-anxiety and sleeping pills—Valium, Xanax, and even natural solutions like Valerian root—work by enhancing the inhibitory qualities of GABA. You can also get GABA from your food intake! 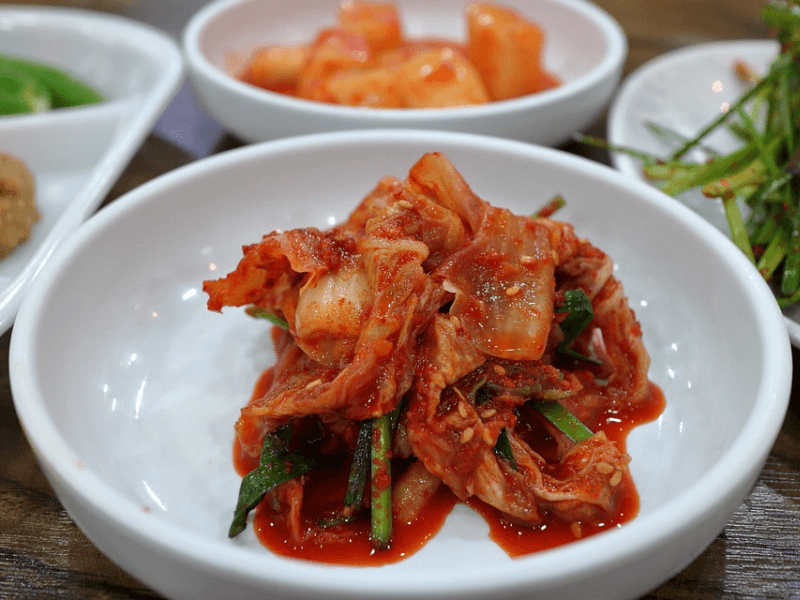 It’s found in fermented preparations like German sauerkraut, Japanese miso, Korean kimchi, or even something as simple as yogurt. For more information, you can also read our Nested Naturals LUNA review and our Zenwise Health Sleep Support review. 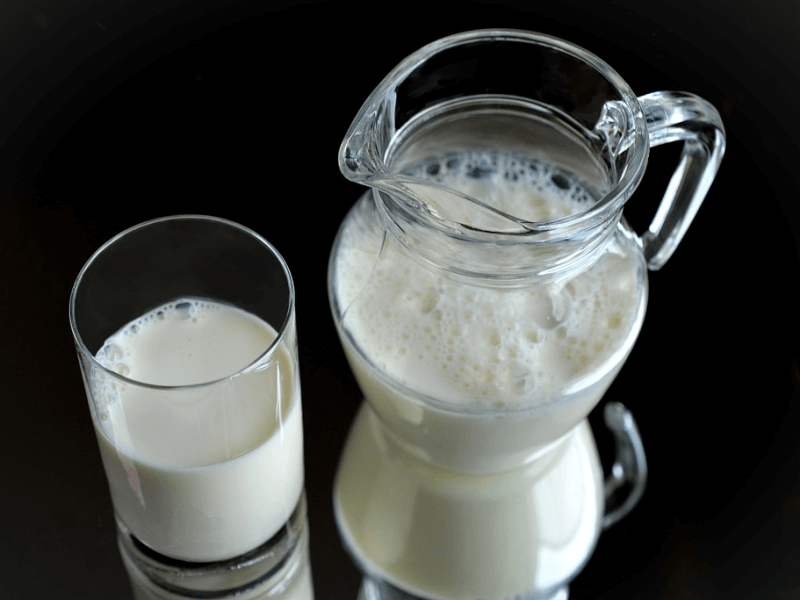 While increasing the efficiency of the GABA that’s already there is one solution, you can also try taking something to increase GABA production. Other amino acids can help with this; and some of them, like Glutamine and L-Theanine, have sleep benefits of their own. Glutamine is not an essential amino acid, and is not mainly used as a sleep remedy. The “L-” signifies a particular molecular configuration, but L-Glutamine and its other form D-Glutamine are almost exactly the same. Usual indications relate to improved immune system processes and healing; appetite, digestive health, and nutrition; and brain and muscle functions. Its varied uses make it one of the most abundant and common organic compounds found in the body. How does it work? In terms of sleep, we’ve already covered this earlier. Apart from helping with the body’s general well-being, L-Glutamine helps with sleep because its effect on the brain is similar to L-Theanine. It increases focus and alertness and can have anti-depressive results. It is also a precursor to not only dopamine production—low levels of which have been associated with sleep disorders—but GABA production, as well. You can find L-Glutamine in many kinds of food—beans, dairy, eggs, leafy greens, meat, and more—but often daily ingestion is not enough to supply your body with enough of this amino acid. This is because you typically require more of it when you’re under a lot of stress. It must be noted that there are negative sleep-related side effects associated with L-Glutamine. You may feel unusually fatigued, and you may experience sleeplessness. Typically these are dosage issues or the result of intake without medical supervision, which you should always have when exploring possible treatments like this. For more information, you can also read our review of Natrol Sleep ‘N Restore. This organic compound is more familiar to you than you think. It’s not one of the essential amino acids, and you may not even find it in what you eat very often. However, it’s part of what makes green tea so effective as a refreshing and relaxing beverage. L-Theanine is more often studied as remedy for anxiety, lack of focus, and restlessness; and yet it is a common sleep aid ingredient. Why? While sedative properties are important in order to induce sleep, relieving anxiety and stress—physical and emotional—helps when it comes to maintaining the state of slumber. Sleep quality is important, too; deep, uninterrupted sleep is more restorative than a few hours of sleep in between midnight bathroom breaks and waking up because of pain or worries. Trying this amino acid out as a possible addition to your sleep-improving routine is as easy as drinking green tea. Yes, there is caffeine in green tea, but at much lower levels than are found in coffee and other kinds of tea. In fact, it’s a normal beverage recommendation for people looking to reduce their caffeine dependency and intake. 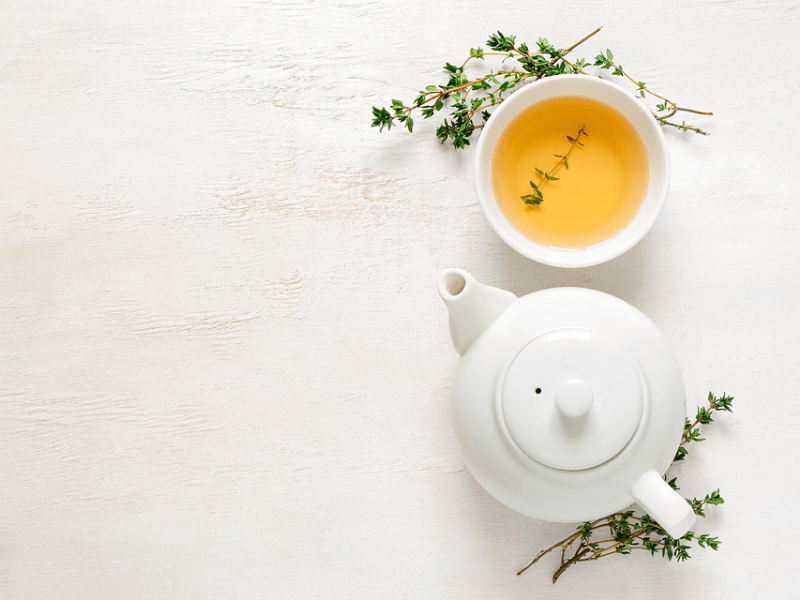 If your sleep problems are more related to stress and anxiety, rather than a plain lack of sleepiness, try drinking green tea before sleeping. Because L-Theanine relaxes you without leaving you groggy, in dietary supplements it is sometimes used to balance out a formulation and soften the impact of potent herbs and hormones. Again, you may refer to list of sleep aid reviews by Good Night’s Rest—there’s a link on our top menu—to check out what we think of these supplements. 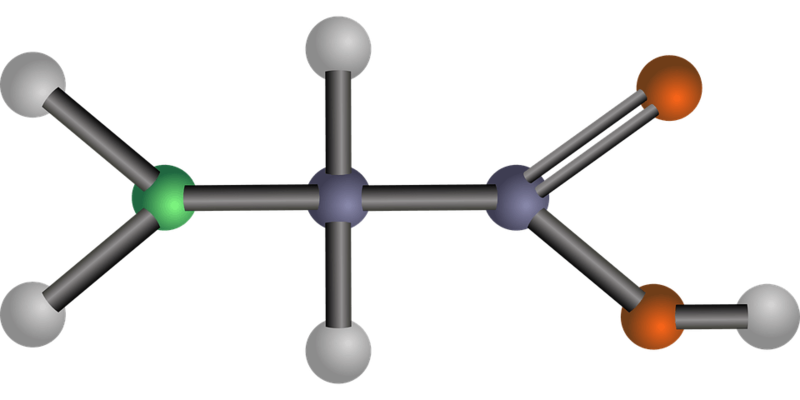 The first image in this article is actually a representation of Glycine! This amino acid is the simplest one of them all, with a single atom of hydrogen as its side chain: NH2‐CH2‐COOH. Glycine has many uses. In some cases, you’ll be surprised to find it there in the first place. For example: Did you know that you probably consume or use it when you’re taking antacids or analgesics? 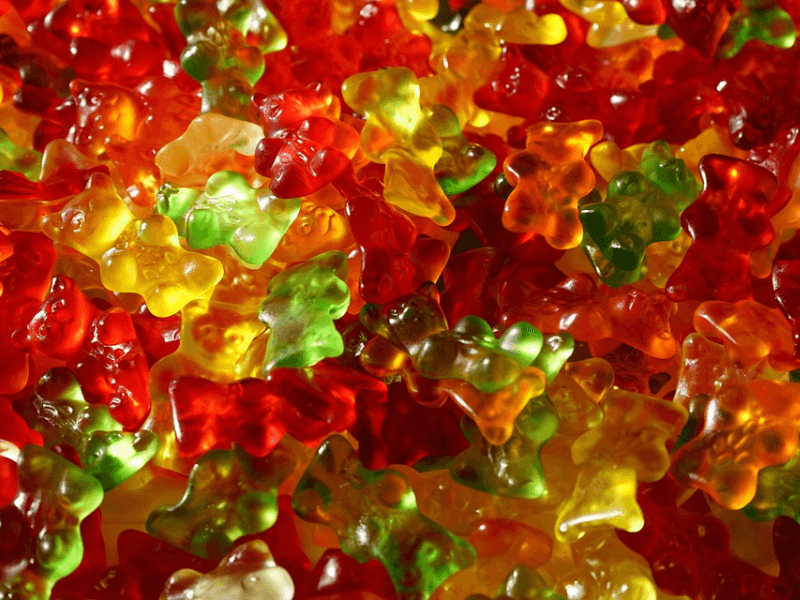 It’s also found in gelatin, which means that you can find it even in gummy candies. It’s also present in cosmetics, antiperspirants and many toiletries. It is not there for any other purpose than to be a buffering agent. As for its use within the human body: Glycine is similar to GABA in that it benefits the central nervous system as an inhibitory neurotransmitter. When it comes to improving sleep, it helps normalize sleep patterns in the same way the amino acids we’ve discussed above do. It helps to relax and calm you, and aids in your general well-being. For more information, you can also read our review of Source Naturals NightRest. Think back to your last Thanksgiving dinner, and the ones before that. Remember that warm, fuzzy, drowsy feeling after eating your fill? Some would dismiss that as a sign of the colloquially termed “food coma”—but it’s more than just carbohydrates making you sleepy. It’s aided by the star of the show: the turkey, which contains Tryptophan. We’re not saying that turkey is the main culprit, only that the Tryptophan in it adds to the overall feeling. It’s an organic compound that’s actually a precursor to serotonin, one of those neurotransmitters that helps keep us calm and happy. The body can’t generate it by itself, so it’s one of the amino acids that we need to get from our diet. A lack of serotonin causes an increased risk of developing depression, insomnia; as well as the tendency to mismanage anxiety and stress. This is where Tryptophan comes in. 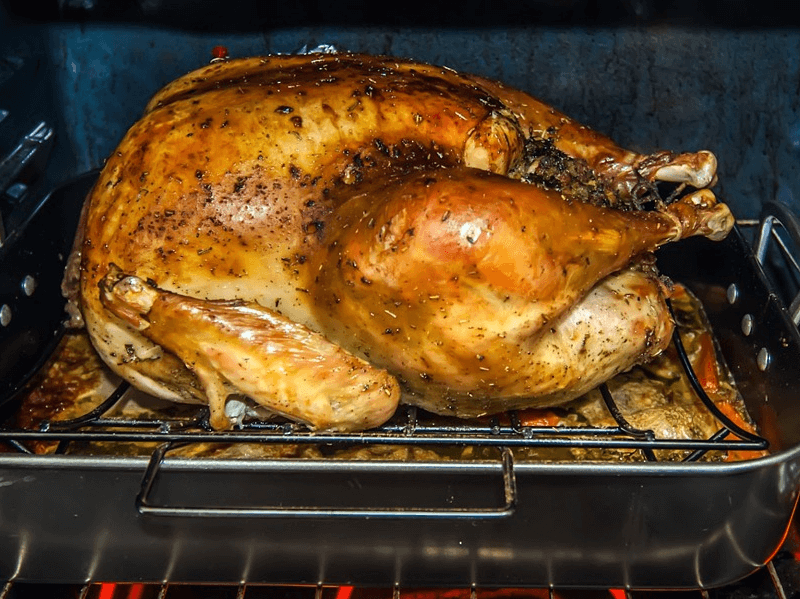 While you can find it in food—turkey is the most well-known source; but it’s also in eggs, dairy, seafood, soy-based products, and more—to use it as a sleep remedy, and feel results, you’ll often need much more of it than what you get when you eat.